BRAVE 3 harness – Keep riding! The materials used for the Brave 3 are high-quality and robust and carefully chosen to guarantee for high durability and lightweight. 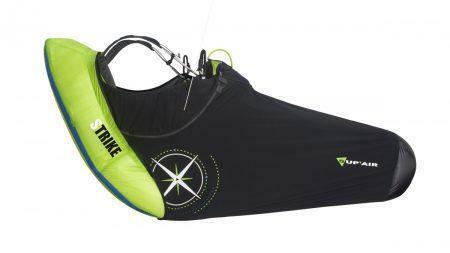 This way we could lower the weight of the harness by another 100gr compared to its predecessor. Also, the backpack has been optimized and offers sufficient space also for standard gliders, if packed right. The backpack volume is nicely compressible and the back part has been reworked for optimum carrying comfort, also for long tours. 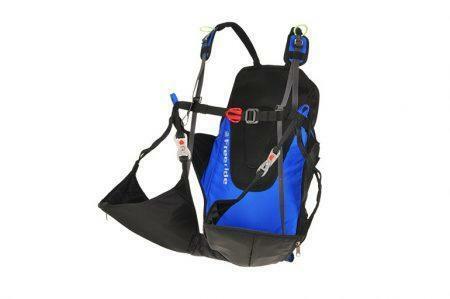 Both in backpack mode and flying mode, the harness is prepared for popular hydration systems. The backpack offers attachment options for skis & poles and a large pocket for all your additional gear. 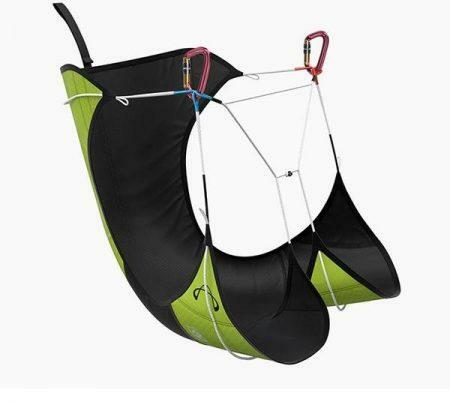 In flying mode, you will find a pocket with your right leg for the speedriding speedbag or other gear and an additional big pocket on your back. There is no doubt: This reversible harness is perfect not only for speedriding but also for your Hike&Fly projects, Vol Bivouac Adventures and for journeys, etc. Great carrying comfort, ventilation-system on the back, ergonomic shoulder straps, reworked back part and backpack cut.